Sculptured SA, or uniform SA? I like uniform SA, but haven't got to grips with sculptured SA yet. I don't get all this hate for thin keycaps. I have a 11800 with thin lasered pbt, and think its pretty good (probably the cherry profile and pbt aspects of it). I think that dsa looks oddly deformed, but it supports nonstandard layouts, so I have some respect for it. I really don't understand the disinterest in dcs and g20 (particularly g20 because it seems like it offers a lot at its price point). It doesn't seem that many people have tried G20. Honestly, having jumped back into WoW, I had a much less painful time on DSA than on SA. The extra height while key-mashing the number row was noticeable in extra forearm pain with SA that wasn't there on DSA or Cherry/GMK. Tall artisans. I always worry I will knock them and snap a stem. Maybe I don't like the keyboard which press hard.. That maybe related to switch but keycap is important too. Each time when I click the laptop keyboard,my finger never feel good. Maybe that is because the keyboard of my company is good or press light. 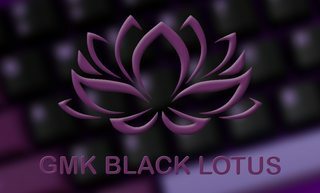 For some one, If you get a better keyboard or keycap. Maybe you won't like the previous. ^ This, I also like uniform SA but find the sculpted SA too "sculpted". Oddly enough even though I like uniform SA but I'm not a big fan on DSA. I also don't like Cherry Profile. So I'm definitely in the minority. I just hate all spherical profiles. Cylindrical is so much better. IMO, some profile works better on specific switches. Like lower profile caps are best for heavier switches which lessens the key travel. But thats just me. This seems like a touchy subject because I doubt the artists of the community, who pour so much time and effort into their work, want some loser nobody, like that guy dr_alphabet, talking **** about their work. That being said, I really don't care much for the great Bambino's horse ...thing. Pegasus? idk. ....and i think clacks are severely over rated, which is, like, blasphemy to some people. deal with it, nerds. I'd say that most artisan's key caps are overrated, I do not need them, I do not like them, deal with it ladies. I love the OTD cap, because it is like a OTD keyboard as simple and beautiful. Ok, but this thread is about keycaps you don't like. I haven't tried DSA. But there are so many guy said they don't like DSA while so many guys love it so much. Well,I've received more than 10 message that want me to make the DSA Galaxy keycap. It doesn't matter,This is a free land . We talk keycap and find out the one we really love. It is the Keycap from OTD keyboard. OTD keyboard is a little rare and produced buy South Korean. It took two pages for someone to say k3kc.